“Phosphorescent stars in children’s rooms have been around for a long time ! ” Says Jean-François Létard, the CEO of Olikrom, based in Pessac (Gironde). This former research director at the Institute of Condensed Matter Chemistry in Bordeaux, CNRS Unit, has developed a phosphorescent paint that stores light, natural or artificial, and restores it at night. The technological challenge was that it withstands the passage of vehicles, the weather and the wear of time: “We have managed to meet it through an innovation that we keep secret, of course,” continues the leader. 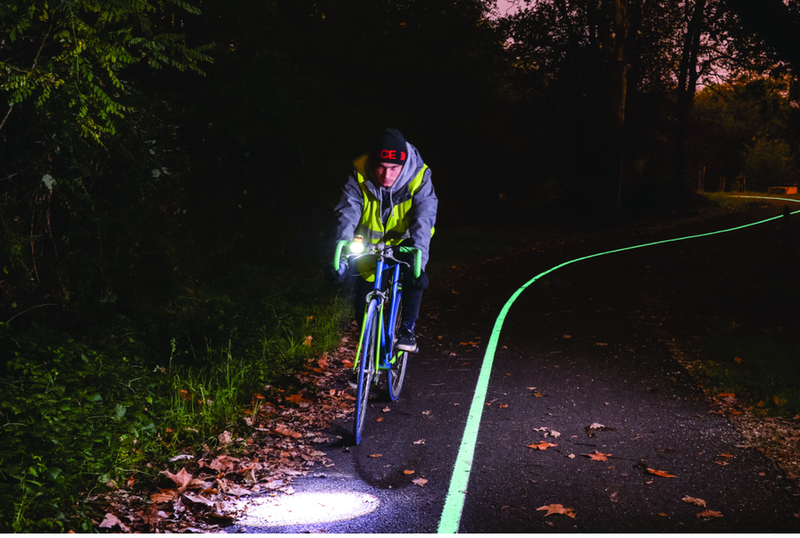 Designed especially for road marking, this painting, which goes into commercialization, allows a cyclist to see up to 80 meters in front of him at the beginning of the night, 30 meters at the end – the brightness decreases as the night, to disappear after ten hours of darkness. Measurements made by the French Institute of Transport Science and Technology. Thanks to this innovation, Olikrom (14 employees) hopes to hire between 20 and 30 people within a year and a half. It intends to convince local authorities for their roads, hospitals, retirement homes, schools. And interest all those who may be faced with the need to make bright a place without electricity, to evacuate. “Our painting is obviously more expensive than another that does not have the same properties, but if we compare it to the price needed to install lighting in isolated areas, it becomes very cheap,” concludes Jean François Létard.